I'm pretty sure this is cow parsley, also known as anthriscus sylvestris or Queen Anne's lace. If I look back at the previous photo I think it was the same flower, but I'm not sure - I also see small differences. 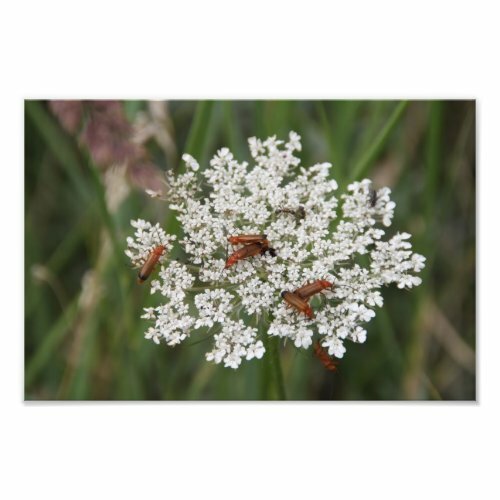 I don't know what insects are crawling all over the flowers (but I do know what the ones in the middle are doing...). If you recognize them please leave a comment.